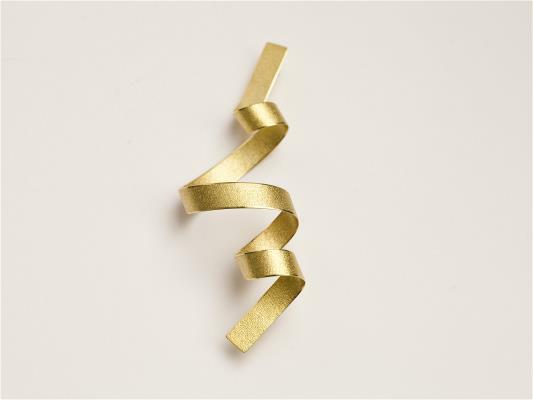 We are seeking submissions of collections of ambitious and innovative jewellery for our forthcoming annual exhibition; ALIGHT, 26 January - 22 February 2019, at the Royal Scottish Academy in Edinburgh. VAS explores the regions where artforms crossover, especially those between the fine and applied arts, and we are looking for artists who demonstrate conceptual thinking and innovation, as well as outstanding design and craftsmanship in jewellery and silversmithing. We are also particularly interested in artists who are following or developing an ethical and sustainable practise. Collection of unsold work: In person on Sunday 24 February, 10am - 1pm OR include pre-paid return potage on delivery for return the following week. Each artist may submit up to four entries. A single entry can comprise of a collection of up to twelve pieces of jewellery or three pieces of silversmithing. There are two seperate submission systems, one for jewellery and one for other artforms. You may submit up to four entries in total across both sections, eg two jewellery collections and two in another artform, or one and three, etc. You can upload up to six images per entry, please try to include every piece in the collection in these images. You may group multiple pieces into a single image to achieve this. A single flatlay photograph detailing all the works in your collection would also be useful if possible. Please caption your images with your name, the title of the work and a photographers credit if applicable. Eg, Becca Pollard_Floral Necklace_Martin Smith. All selected artists will be required to submit a detailed stock list with titles, prices, dimensions and materials by Monday 7 January. All pre-selected works will be subject to final selection by the jewellery co-ordinator on delivery to the gallery. If your work is not exhibited you will be notified before the opening of the exhibition and your work will be returned the following week. Jewellery will be displayed in wall mounted cabinets unless otherwise specified by you. Any alternative display equipment must be provided by the artist. Silversmiths must provide a suitable floor standing plinth or secure cabinet to display their work. Please mark any display equipment provided clearly with your name and a contact number. Insurance will be provided for any single item with an insurance value (sale price -40%) of over £250. Items under this value are exhibited at the risk of the artist and we recommend that you take out your own insurance. You can deliver your work in person on Sunday 20 January between 10am and 12pm. Or you can send it by Royal Mail Special Delivery to arrive on Friday 18 or Saturday 19 January. Please insure your work in transit and provide a tracking number on sending. If you would like your work returned by post please include pre-paid postage with your delivery. If you deliver your work in person you may include branded packaging for sales purposes. If sending your work by post please include business cards so that we can include these with sold works, we will provide point of sale packaging if required.